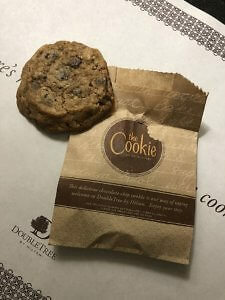 The most memorable hotel check-ins are fast and efficient, but when your room key is paired with warm, chocolate chip cookies, it’s hard not to leave the front desk without a smile. 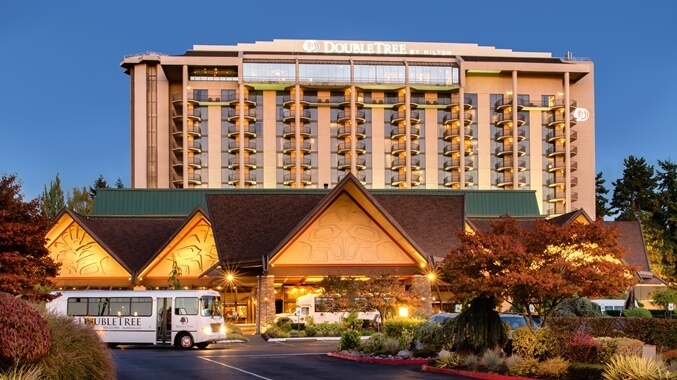 At DoubleTree by Hilton Pleasanton at the Club, satisfying one sweet tooth after the next is simply another part of the daily routine in this stretch of Northern California. The property features 292 rooms and three suites, spread across seven room categories. I stayed in a King Bed with a Pool View room. 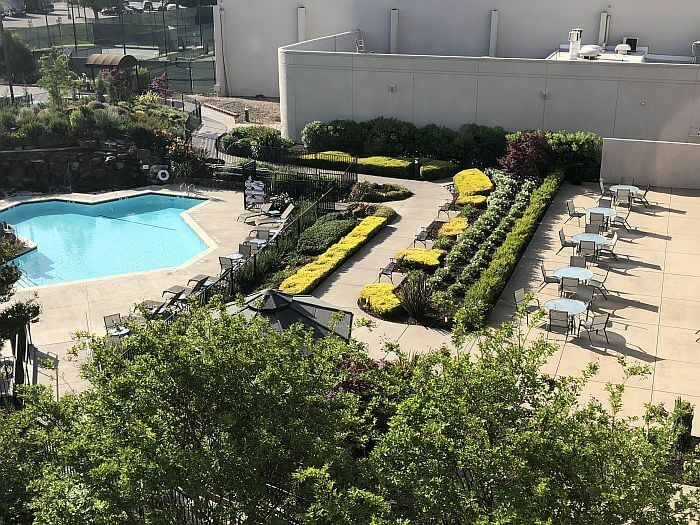 Located on the backside of the hotel, away from the highways, the room was spacious offering a sitting area complete with sleeper sofa and coffee table. Electrical outlets and USB ports were easily accessed above both bedside tables. The large desk is handy for when work is necessary, or you simply need space to spread out. Bathrooms boast a bathtub/shower combination, and single sink. While a family might feel crowded, there’s plenty of room for two. Crabtree & Evelyn bath products are provided. Forgot your toothbrush? The front desk has everything from shaving cream to sewing kits. The hotel’s quiet pool area with hot tub is located on the backside of the property. Guests also receive complimentary use of ClubSport, the neighboring fitness center. 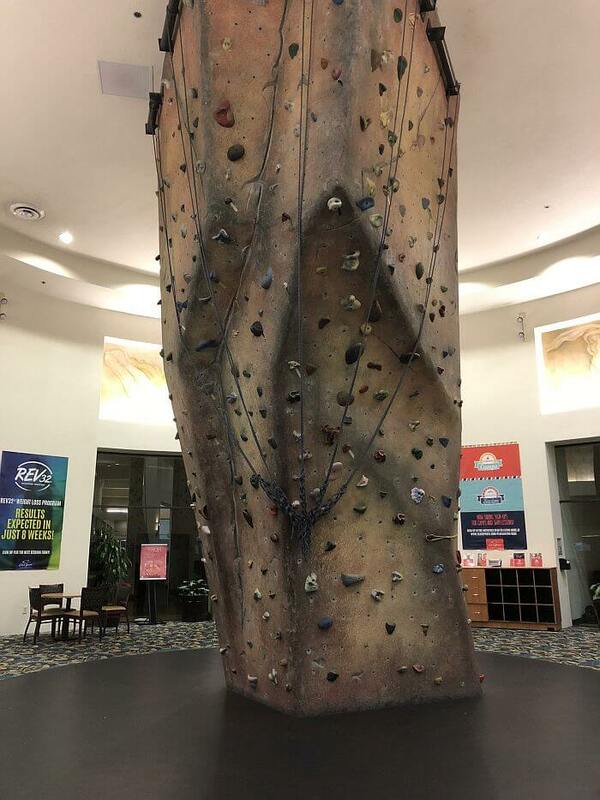 The expansive facility boasts more than 200,000 square feet of workout space, including a rock climbing wall, both indoor and outdoor tennis courts, and a number daily fitness classes. Guests can access the club from the second floor of the hotel, weekdays from 5am to 9:30am and 5pm to 10pm. At other hours, it’s a quick walk outside to the ClubSport front door. Onsite Players Restaurant & Lounge is open for breakfast, lunch, and dinner. Breakfast is served buffet style and includes made to order eggs and omelets, in addition to a selection of fruit, yogurt, cereal, breads and pastries. Room service is also available every day from 6:00am -11:00pm. 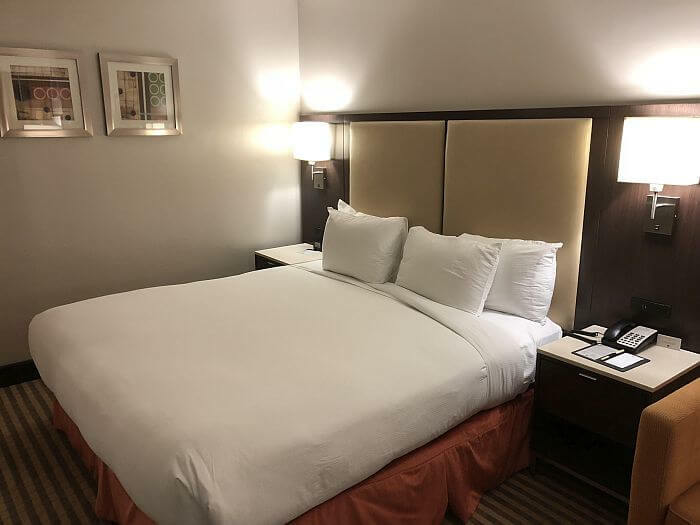 The hotel is located 20 miles from the Oakland International Airport, and 40 miles from San Francisco International Airport. 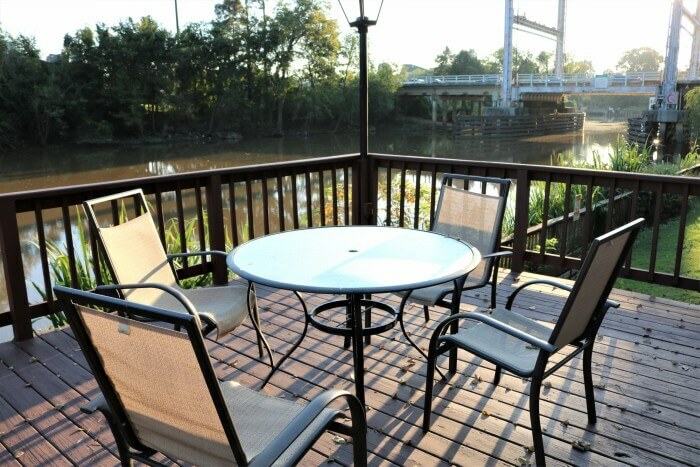 The hotel offers complimentary shuttle service within a four-mile radius of the property. Guests simply check with the front desk to schedule times, but the shuttle typically runs 6:30am to 10:30pm Monday through Friday, and 7am to 10:30pm on Saturday and Sunday. 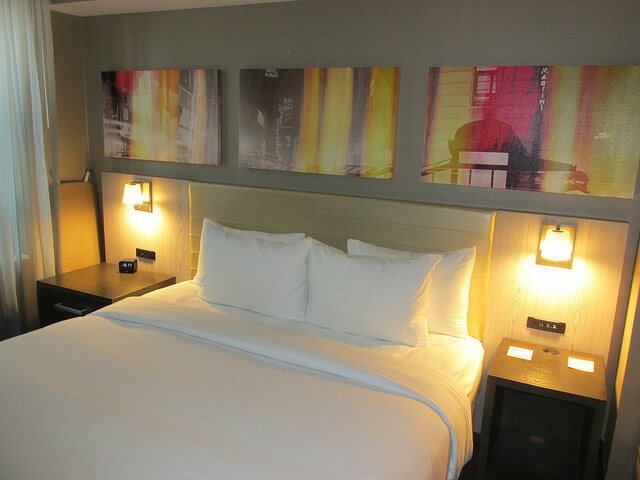 Rates for a King Bed with Pool View room range from $134 to $415. Wi-Fi and self-parking are included. And complimentary, chocolate chip cookies are available at the front desk 24/7. 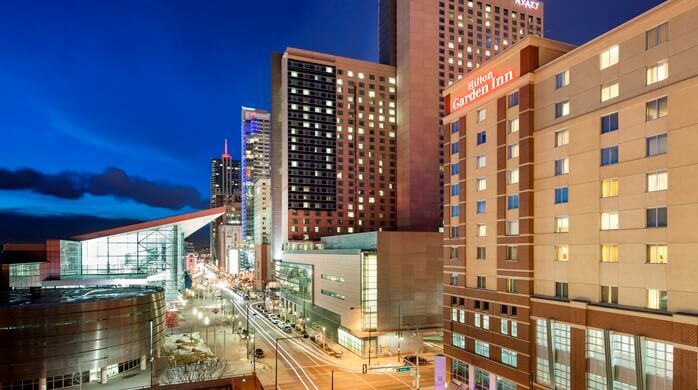 You can book your room at the hotel website, Travelocity or Expedia. Review and photos by Dana Rebmann. Her stay was hosted by the DoubleTree by Hilton Pleasanton at The Club, but as always her thoughts and opinions are her own.